After buying hummus for years, I finally started making my own from scratch. I will never buy hummus again! It is so easy and so much better than store bought. It tastes fresh and has a lot more texture. I try to keep all of the ingredients on hand so I can make it at a moments notice. For a healthy choice, I serve it as a dip with celery and carrots instead of pita chips. Use the optional red pepper flake garnish if you want to give it a kick. 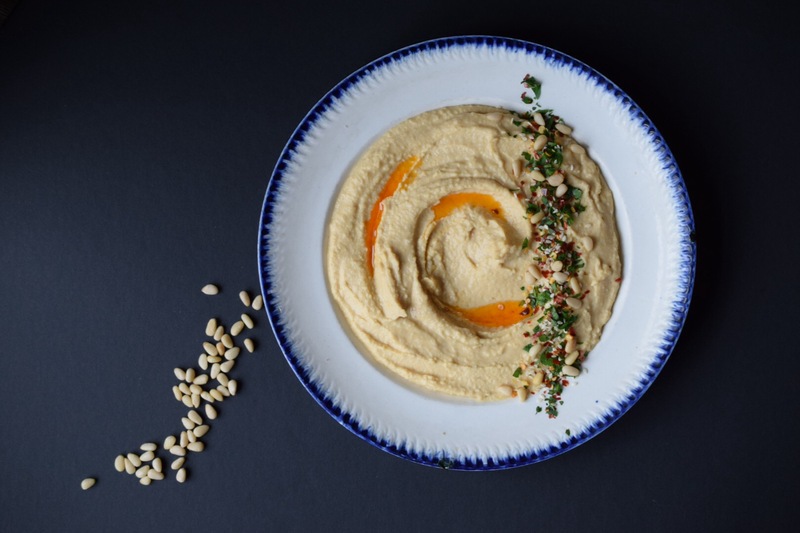 In a food processor bowl fitted with the steel blade, place the chickpeas, tahini, garlic, lemon juice, tabasco, and sea salt and process until coarsely pureed. The hummus should be moist and thick; add more lemon juice to thin if necessary. Cover and refrigerate to blend the flavors. Taste for seasonings. Serving: serve with carrots and celery or pita and pretzel chips.